A lot of people are expecting Batman #50 to be the big news of the week. Or at least it was yesterday, before DC Comics and the New York Times posted detailed spoilers. Well, mostly. They did miss one aspect out which may transform everything. But we will see. 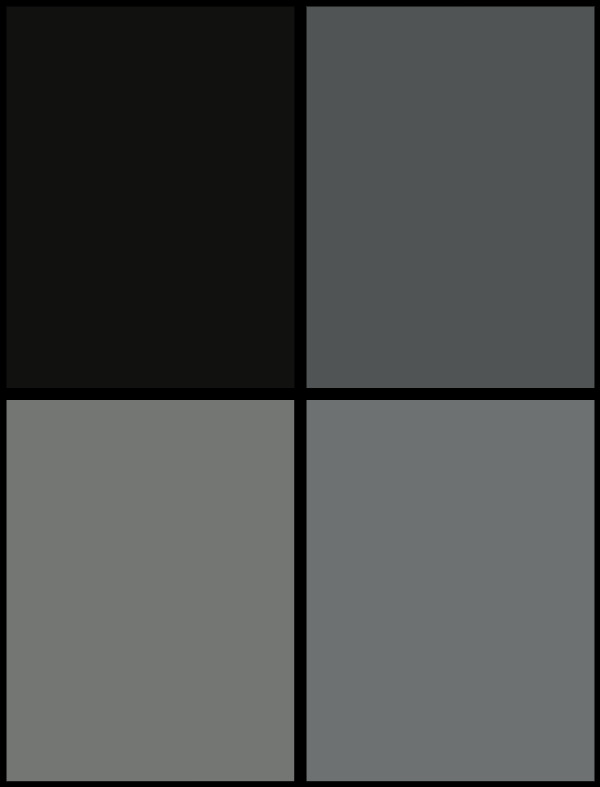 In amidst this, Marvel Comics is launching Death of the Inhumans, Captain America, and Cosmic Ghost Rider. Which doesn’t quite have the Batwedding vibes but may include some rather newsworthy aspects by themselves. 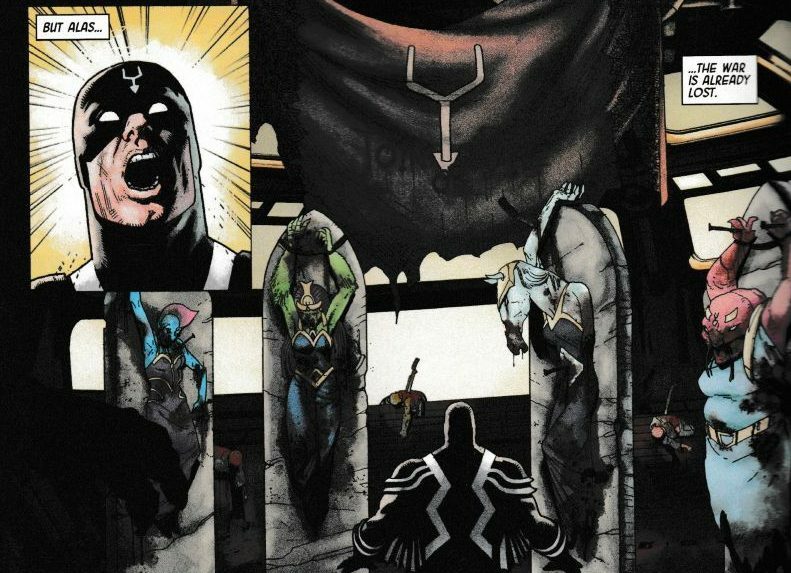 Let’s first have a look at Death of the Inhumans, which appears to be the death knell of Marvel’s Great Inhumans Experiment. We broke that story years ago on Bleeding Cool, back when it was meant to be Matt Fraction launching Inhumans, and we were told it was part of a move to give the Inhumans a Game of Thrones-style storyline, installing great Inhumans houses and leading to the film. And providing the MCU with mutant-like characters. This move from Marvel Comics was eventually rebuffed by Marvel Films, as studio head Kevin Feige struck off on his own, away from chairman Ike Perlmutter, and cancelled the Inhumans movie. But Marvel Comics pushed Inhumans in the comics with several series running concurrently, featured them heavily in Marvel’s Agent of SHIELD and eventually a TV series with a cinematic premiere. The TV series bombed, and the comic series were cancelled, save for Ms Marvel, which only occasionally was treated as an Inhuman comic book. And so the new Death of the Inhumans series by Donny Cates and Ariel Olivetti feels like a death knell. 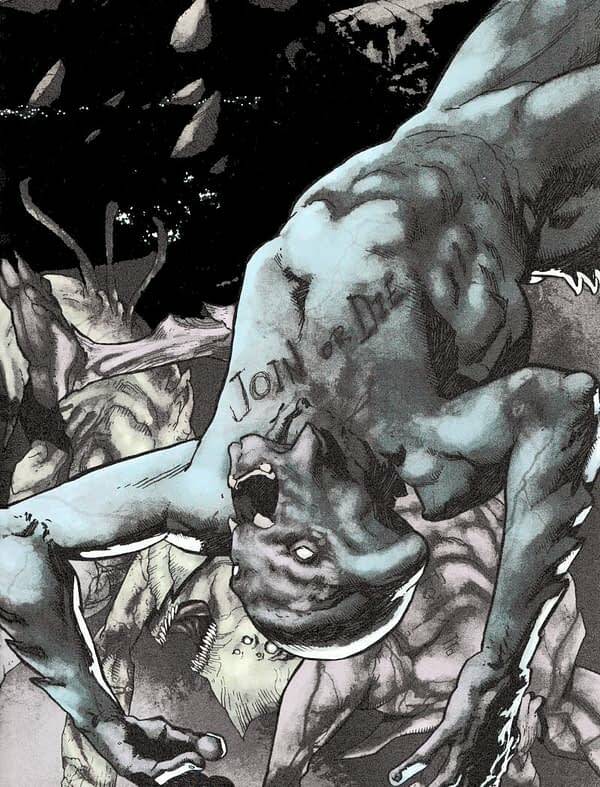 The comic is full of foreboding and clearly begins as it means to go on. The clue is in the name. And while the toll will no doubt be eked out over the series, it begins with the Kree sending their top bailiff to repossess their property — in this case, the very life of the Inhumans, seeded so long ago. Jordie Bellaire‘s colour scheme with Ariel Olivetti’s bleak ink spatter deliberately seeks to sap the joy out of what was once Marvel’s poppiest four-colour heroes. The “with us or against us” attitude runs through all the recent Inhuman lore as well as the classic Lee/Kirby run. But it does seem a deliberate dismantling of the House of Ideas’ recent failure. For all that The Royals recently achieved, this seems like a meticulous taking apart of anything previous series may have achieved. Not so much throwing the baby out with the bathwater, but deliberately dashing its head against the rocks and calling social services. And yes, Inhumans die. As I said, the clue is in the name. And without ongoing series bearing their names and no multi-media opportunity to keep the brand alive, these deaths have a permanence about them that has been denied Superman, Spider-Man, Captain America, Batman, or Wolverine going through the Ragnarok cycle of death and rebirth. But who? Well, that may be a spoiler too far for an advance review… be warned against spoilers elsewhere. Probably not in the New York Times, though. Donny Cates has a reputation of late for throwing the wackiest ideas at the page and seeing which sticks. The launch of Cosmic Ghost Rider this week is evidence of that. But this is not that comic. This is… for want of a better word… Inhuman.